BioMarin has filed its Duchenne muscular dystrophy (DMD) drug drisapersen in Europe, raising expectations of a second approved therapy for the disorder. If cleared by the EMA, drisapersen will be the first 'exon-skipping' therapy for DMD, which affects males in childhood and is characterised by severe muscle wasting that typically leads to death before the age of 30. At the moment, the symptoms of the disease can only be managed with exercise, physiotherapy and corticosteroids drugs used to slow down muscle wasting, although long-term steroid use causes significant side effects such as weight gain and excessive hair growth. Drisapersen is an antisense-based drug that works by forcing the cell's molecular machinery to snip out a mutated portion of a protein - called dystrophin - whose expression is impaired in DMD. The drug targets exon 51 of the RNA coding for the protein and leads to the production of a slightly truncated form of dystrophin that has some of its functionality restored. It is suitable for treating around 13% of DMD cases. At the moment the only approved therapy for DMD in Europe is PTC Therapeutics' small-molecule drug Translarna (ataluren), which was given a condition go-ahead by the EMA and has been launched in its first markets. It is in a confirmatory phase III trial that - if positive - would convert the programme to full approval. Translarna works via a mechanism known as premature stop codon (PSC) read through and is indicated for DMD cases caused by a 'nonsense mutation', a different patient population to drisapersen. 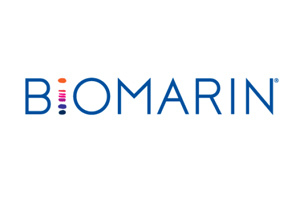 BioMarin acquired rights to drisapersen via its $840m purchase of Netherlands company Prosensa in November 2014, and has also submitted the drug for approval in the US. The FDA and EMA filings are something of a turnaround for drisapersen. Last year, it failed to meet its objectives in a late-stage study - it extended patients' walking distance compared to placebo but not by a statistically significant margin - and that resulted prompted Prosensa's former partner GlaxoSmithKline (GSK) to return rights to the drug. Since then, discussions with regulators about aggregate data taken from the entire clinical programme have restored confidence that drisapersen can achieve a real therapeutic effect and set the programme back on track. Elizabeth Vroom, chair of United Parent Projects Muscular Dystrophy (UPPMD) , welcomed the filing, saying the patient community is "hopeful that this therapy will lead not only to an approved therapy, but will further scientific advances and the development of other treatments for boys with Duchenne." BioMarin's main rival in the muscular dystrophy market is Sarepta, which was forced to delay filing of its lead exon 51-skipping drug eteplirsen last year after regulators on both sides of the Atlantic indicated it would need additional data even for conditional approval. Other companies bringing DMD therapies through the pipeline include Santhera, whose Raxone/Catena (idebenone) candidate has completed phase III testing. Unlike its rivals Sathera's drug - an antioxidant - specifically targets respiratory dysfunction seen in older, non-ambulatory DMD patients. UK-based Summit Therapeutics has also entered the race recently with its DMD drug SMT C1100, a first-in-class, small-molecule stimulator of utrophin, a protein that is similar to dystrophin. Utrophin is produced during the early stages of muscle fibre development but is switched-off in maturing muscle fibres, at which point dystrophin is produced to perform the same functional role. Summit's drug is designed to maintain the production of utrophin to compensate for the absence of dystrophin in DMD patients and so could be applicable to all forms of the disease. It has just started phase Ib testing. DMD is the most common fatal genetic disorder diagnosed in childhood, affecting approximately 1 in every 3,500 live male births with about 20,000 new cases diagnosed globally each year.